le secteur primaire emploie plus des 3/4 de la population active. Mais l’agriculture ne rapporte que 16% du produit intérieur brut (pib). Et le Sénégal est loin d’assurer son autosuffisance alimentaire. Le principal des ressources provient des produits de la pêche, de l’arachide et des gisements de phosphate. 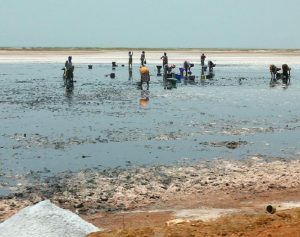 Mais la pêche est en crise car les ressources halieutiques du Sénégal ont diminué de 3/4. Hello my friend! I wish to say that this post is awesome, nice written and come with approximately all important infos. I’d like to see more posts like this . I’ve learn this put up and if I may I desire to suggest you some attention-grabbing things or tips. Thank you for another informative website. Where else may just I get that type of info written in such an ideal approach? I’ve a project that I am just now operating on, and I’ve been at the glance out for such information. like to learn where you got this from or what the theme is named. I have read this post and if I may just I want to recommend you few interesting issues or suggestions. a shout out from Atascocita Texas! Just wanted to tell you keep up the great work! Hi, I do think this is a great web site. I stumbledupon it 😉 I am going to revisit yet again since i have book marked it. coins, the Pokemon Duel Hack could possibly be the reply. I checked on the web to learn more about the issue and found most individuals will go along with your views on this site. I simply wished to appreciate you yet again. I do not know the things I could possibly have created without the entire secrets provided by you regarding my problem. It has been a very distressing difficulty in my circumstances, nevertheless understanding this skilled way you solved it made me to jump over delight. I am happy for your advice and in addition trust you comprehend what a great job you were undertaking training the rest thru your webpage. I am certain you haven’t met all of us. Its such as you learn my mind! You seem to understand a lot approximately this, like you wrote the ebook in it or something. I think that you just could do with a few p.c. to pressure the message home a little bit, but other than that, that is magnificent blog. An excellent read. I will certainly be back.